[20:17] "What is this in your right hand, Moses?" [20:18] He said, "This is my staff. I lean on it, herd my sheep with it, and I use it for other purposes." [20:19] He said, "Throw it down, Moses." [20:20] He threw it down, whereupon it turned into a moving serpent. [20:21] He said, "Pick it up; do not be afraid. We will return it to its original state. [20:38] "When we revealed to your mother what we revealed. [20:39] "Saying: 'Throw him into the box, then throw him into the river. The river will throw him onto the shore, to be picked up by an enemy of Mine and an enemy of his.' I showered you with love from Me, and I had you made before My watchful eye. [12:32] She said, "This is the one you blamed me for falling in love with. I did indeed try to seduce him, and he refused. Unless he does what I command him to do, he will surely go to prison, and will be debased." [12:33] He said, "My Lord, the prison is better than giving in to them. Unless You divert their scheming from me, I may desire them and behave like the ignorant ones." [12:34] His Lord answered his prayer and diverted their scheming from him. He is the Hearer, the Omniscient. [12:35] Later, they saw to it, despite the clear proofs, that they should imprison him for awhile. [37:139] Jonah was one of the messengers. [37:140] He escaped to the loaded ship. [37:141] He rebelled and thus, he joined the losers. [37:142] Consequently, the fish swallowed him, and he was the one to blame. [37:143] If it were not that he resorted to meditation (on God), [37:144] he would have stayed in its belly until the Day of Resurrection. [37:145] We had him thrown up into the desert, exhausted. [37:146] We had a tree of edible fruit grown for him. [37:147] Then we sent him to a hundred thousand, or more. [37:148] They did believe, and we let them enjoy this life. [7:112] "Let them summon every experienced magician." [7:113] The magicians came to Pharaoh and said, "Do we get paid if we are the winners?" [7:114] He said, "Yes indeed; you will even become close to me." [7:115] They said, "O Moses, either you throw, or we are throwing." [7:116] He said, "You throw." When they threw, they tricked the people's eyes, intimidated them, and produced a great magic. [7:117] We then inspired Moses: "Throw down your staff," whereupon it swallowed whatever they fabricated. [20:86] Moses returned to his people, angry and disappointed, saying, "O my people, did your Lord not promise you a good promise? Could you not wait? Did you want to incur wrath from your Lord? Is this why you broke your agreement with me?" [20:87] They said, "We did not break our agreement with you on purpose. But we were loaded down with jewelry, and decided to throw our loads in. This is what the Samarian suggested." [20:88] He produced for them a sculpted calf, complete with a calf's sound. They said, "This is your god, and the god of Moses." Thus, he forgot. [20:95] He said, "What is the matter with you, O Samarian?" [20:96] He said, "I saw what they could not see. I grabbed a fistful (of dust) from the place where the messenger stood, and used it (to mix into the golden calf). This is what my mind inspired me to do.” [20:97] He said, "Then go, and, throughout your life, do not even come close. You have an appointed time (for your final judgment) that you can never evade. Look at your god that you used to worship; we will burn it and throw it into the sea, to stay down there forever." [28:39] Thus, he and his troops continued to commit arrogance on earth, without any right, and thought that they would not be returned to us. [28:40] Consequently, we punished him and his troops, by throwing them into the sea. Note the consequences for the transgressors. [28:41] We made them imams who led their people to Hell. Furthermore, on the Day of Resurrection, they will have no help. [50:24] Throw into Gehenna every stubborn disbeliever. [3:159]…Once you make a decision, carry out your plan, and trust in GOD. GOD loves those who trust in Him. Are you breaking another one of God’s commandments in your decision? Are you giving power to other than God? [18:39] No one possesses power except GOD (Lã Quwwata Ellã Bellãh). Are you fearing other than God? [3:173] When the people say to them, "People have mobilized against you; you should fear them," this only strengthens their faith and they say, "GOD suffices us; He is the best Protector." [3:174] They have deserved GOD's blessings and grace. No harm ever touches them, for they have attained GOD's approval. 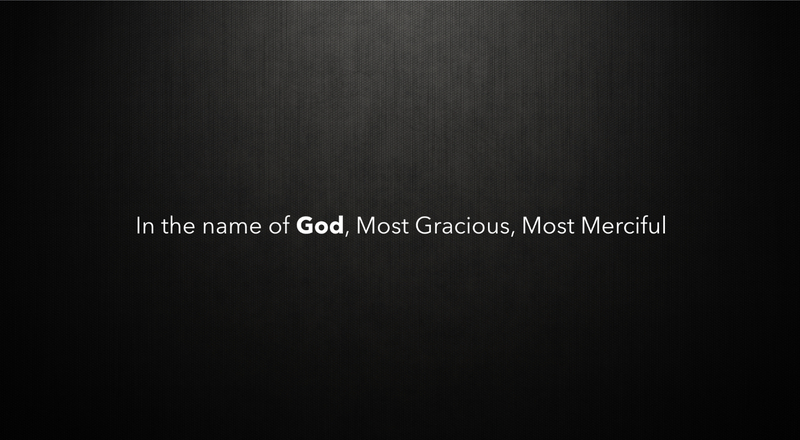 GOD possesses infinite grace.